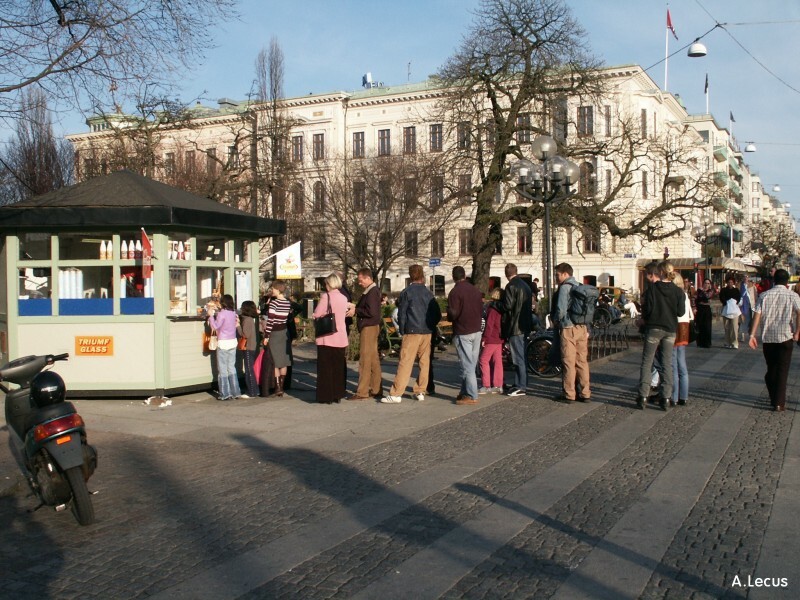 All these swedish people are queuing to buy ice cream. Probably the first of the season. The like it very much!